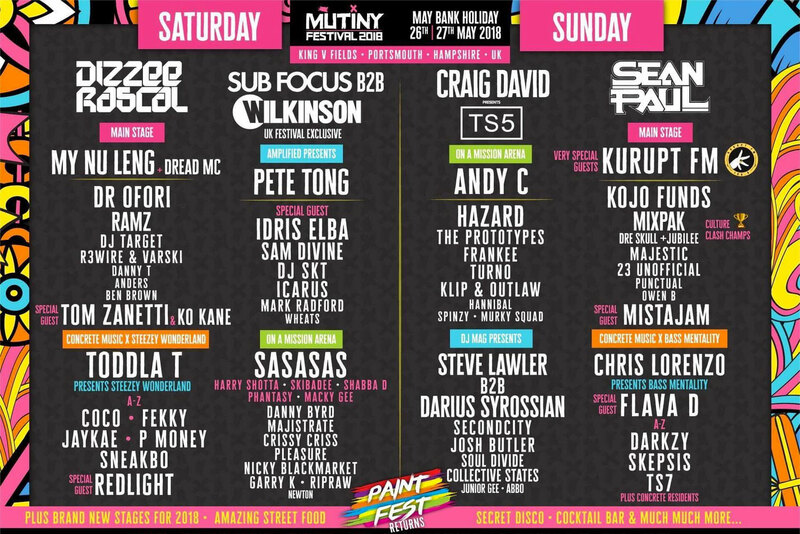 Mutiny Festival – Portsmouth's vibrant dance festival – celebrates its fifth birthday this bank holiday weekend on the south coast. And if you're heading down, you're in for a right treat. Here's everything you need to know ahead of the weekend. Those driving to Mutiny should either head to Lakeside North Harbour, Western Road, Portsmouth, PO6 3EN, or if you are camping, Farlington Playing Fields, Eastern Road, Portsmouth, PO6 1UW. Both sites offer car parking but will require a fee of £10. You can pay on the gates at Lakeside North Harbour, or in advance for Farlington Playing Fields on the festival's website. The festival site is just a two minute walk from Cosham train station, which is a 15 minute bus journey from Portsmouth city centre. Bus numbers 23, 18, 3 and 7 will take you there, or you can get a direct train from Portsmouth & Southsea. However, it is worth Google-mapping the best route from where you're travelling from. Everything from dance and hip-hop to grime, garage and drum and bass will be covered at Mutiny. None other than certified legend Craig David will be bringing his singalong TS5 party, while drum and bass' main man Andy C will be racing us to 160bpm. Oh, and there's also the small case of that Sub Focus and Wilkinson back to back that everyone keeps talking about. What else will be going down? Beyond the music, festival-goers will also be able to immerse themselves amongst carnival performers, boogie on down in secret discos, and dine on international street food. Take a wander and see what you discover. 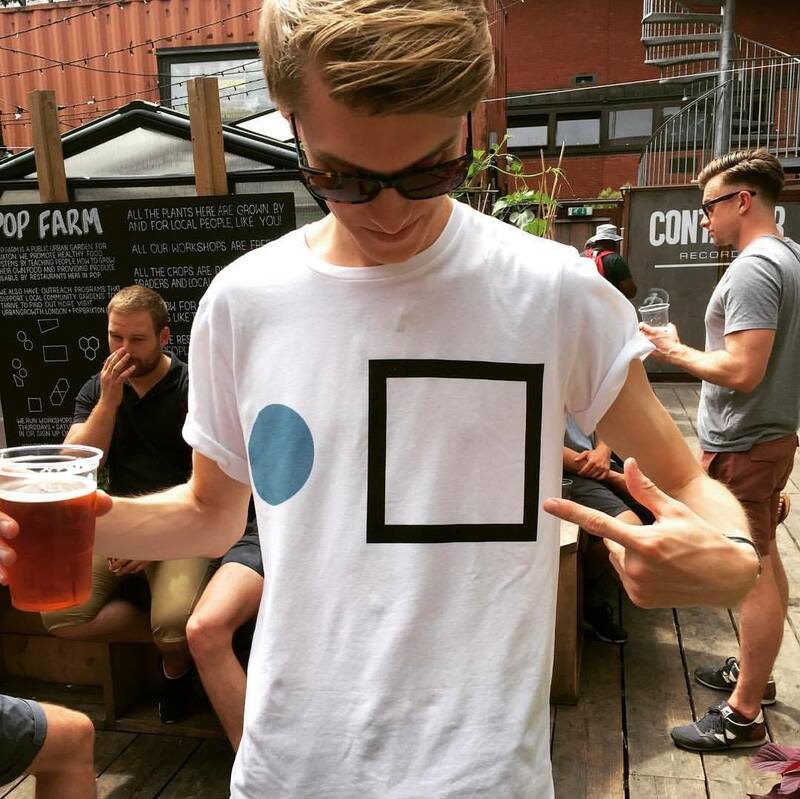 Where can I carry on the party? The festival will be laying on an official afterparty each night. The location and lineup for these are still secret, but we're sure they won't disappoint. Tickets for these can be bought individually and are both strictly 18+. What are the people saying? Real life decision Mutiny festival orrrr a dining table for the house ... ? A message from Sean Paul who brings the party to the South Coast this Bank Holiday weekend! We are 97% SOLD OUT! Don’t miss this for anything! Can I still buy tickets? You sure can. Tickets and accommodation are still available but you'll have to be quick because these wont be around for long. If you fancy making a last minute trip over to Mutiny, you can jump on it here. Mutiny Festival will take place on 26-27 May 2018. Find out more on our guide, and book your trip to this year's festival here.